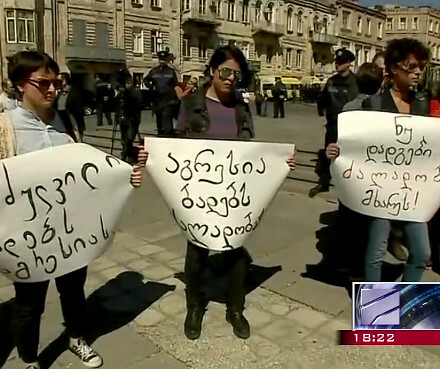 TBILISI, DFWatch–Two years after a violent mob attacked them, gay rights activists in Georgia are confining their protest to the Internet as they observe the International Day against Homophobia and Transphobia (IDAHOT). No-one has been prosecuted for the violent attack on a small gathering of gay rights defenders May 17, 2013, although many people were injured in the clashes and there is abundant photo and video evidence. The gay rights community has chosen Facebook as the way to observe the day, which, they argue, was originally meant as a day to fight against homophobia. 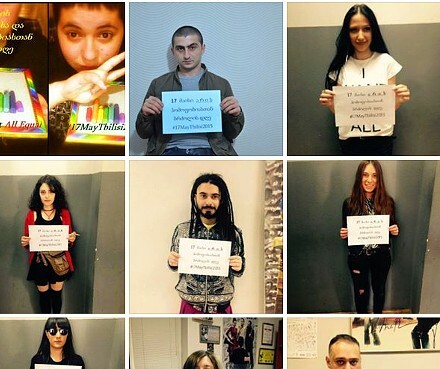 LGBT Georgia launched campaign in which activists take photos of themselves holding notes that say “May 17 is a day of fighting homophobia,” and post them online. Organizers call on others to join the campaign if they believe in the principle of equality and equal rights and think that nobody should be harassed because they are different. The Orthodox Church will begin May 17 with morning prayer at Trinity Cathedral at 9am. The day will continue with various events on Rustaveli Avenue, like theatre performances, exhibitions, small concerts, dance shows and competitions. 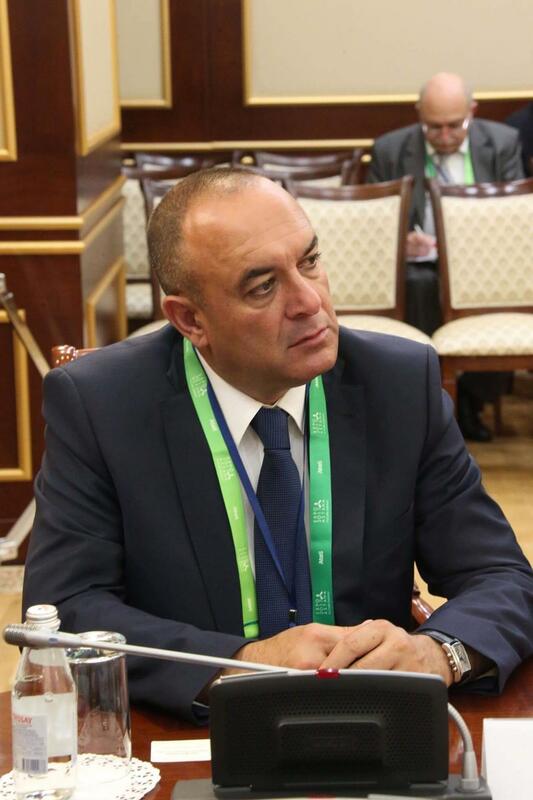 In the evening, Georgian singers will be performing at a gala concert on Freedom Square. The program for the day is available on flyers. LGBT Georgia first marked IDAHOT in 2011, but it wasn’t announced beforehand and there were few participants. It ended peacefully. The following year, the rally ended with clashes and confrontation. But those clashes were nothing in comparison to what took place in 2013. 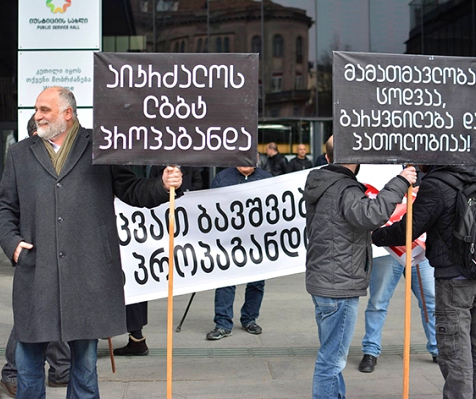 That year, Identoba, an NGO advocating the rights of the sexual minorities, LGBT Georgia, Women Fund in Georgia and Women’s Initiatives Supporting Group announced an IDAHO rally a few weeks in advance, which gave conservatives time to mobilize tens of thousands of people. Led on by religious radicals and clerics from the Orthodox Church, the crowd filled the streets and prevented a group of about 30 people from marking the day against homophobia. 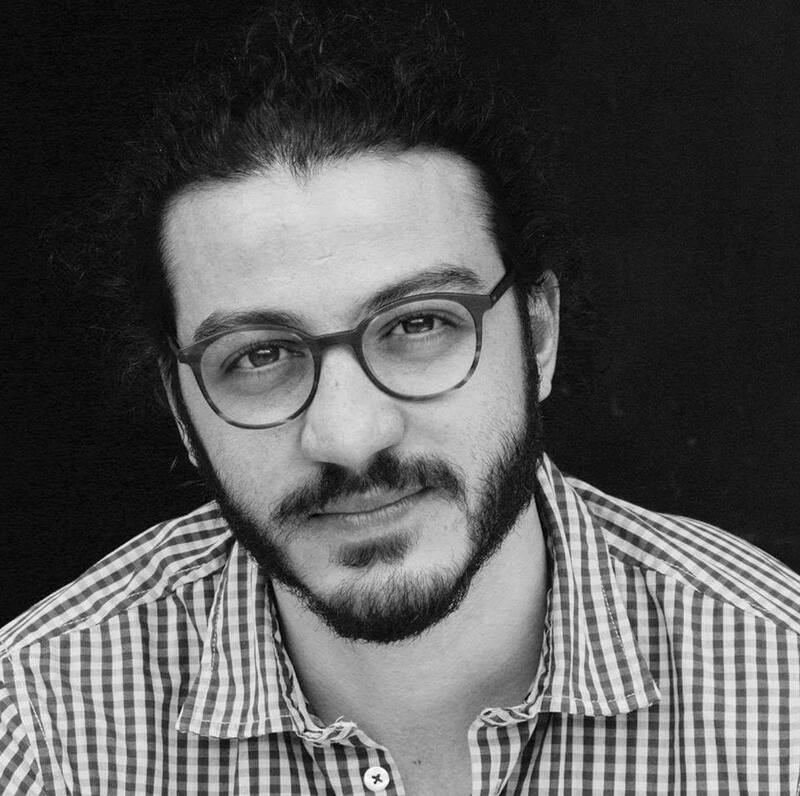 Police had to evacuate the human rights activist from Freedom Square by bus, but the day resulted in a number of injured people, including journalists. No proper punishment was determined for any of those attacks in 2013 or 2014. In 2014, these organizations decided not to hold any rally at all, but there were some online campaigns and some activists tried to attract attention for the rights of minorities by street art protests.